What problems do bats cause when they live in a building? Bag Guano. 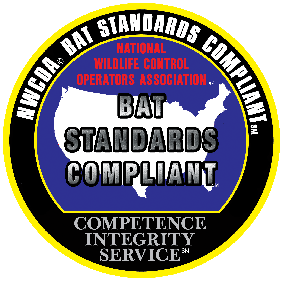 What problems do bats cause when they live in a building? Most people notice the odor first. If the colony is large enough, people also notice the noise they make. They are generally harmless animals, they don’t chew on wires like rodents do, but the main problem they cause is that they poop and pee a lot. Each bat can poop 20 pellets per day, and if you multiply that number times hundreds of bats over a couple of years, you get an attic full of bat guano! It smells bad, it damages wood and drywall, and it can grow mold.